﻿ Symphony of the Goddesses: Simply Magical! 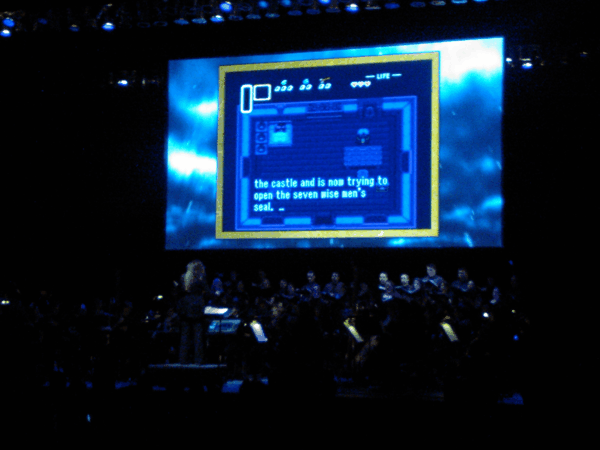 Symphony of the Goddesses: Simply Magical! Home > Symphony of the Goddesses: Simply Magical! 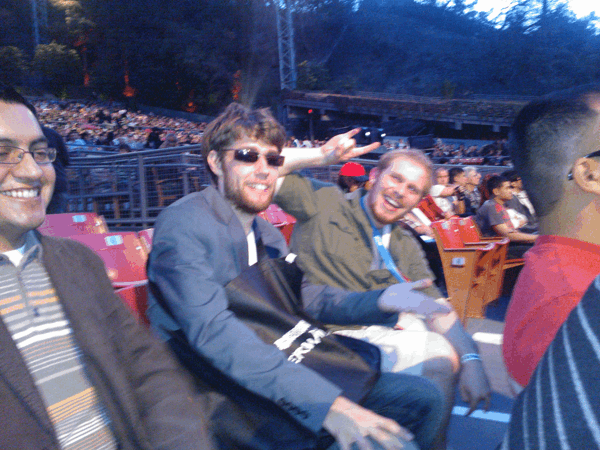 After a short ride, we arrive at the Greek Theatre to enjoy a night filled with music based on our beloved Legend of Zelda franchise. Parked and on our way inside when we encounter multiple delays because of a lot of running around to different areas. Inside the gate and heading backstage to get an inside look of all the cool inner workings of the Greek Theatre when I come across several members of ZREO, who played an important role in the making of Symphony of the Goddesses. After a short relaxing period in a room backstage, I set out to obtain my official ticket to the show which apparently meant walking a short distance down the sidewalk to small building. Ticket in-hand, I set out to find my seat in the vast amount of rows. 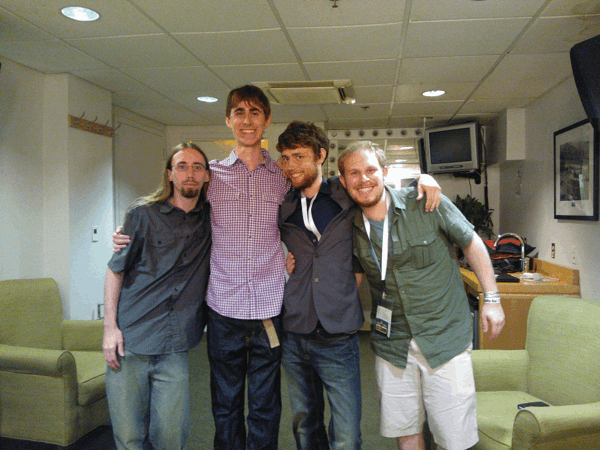 Now to head backstage to see all the fun happenings and who shows up? Zelda Williams walks by with producer Jeron Moore, who was showing her around the theatre. Well, time to go downstairs for a quick dinner before heading up for the start of the show. A mere moment before the show is set to begin and excitement levels are through the roof - or, in this case, the sky. As the sun goes down and darkness grows, a roar of music can be heard coming from the stage - the concert has finally begun! As the intro played, thoughts kept racing through my head. "Wow, this is going to be an awesome show!" being amongst the more profound ones and that could not have been any closer to the truth - Symphony of the Goddesses was simply amazing. 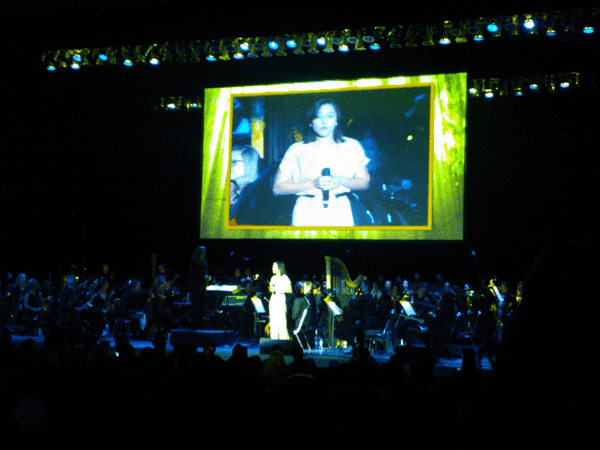 The music stops, crowd applauding, when a familiar face from before appears on stage - Zelda Williams would be the host for the night. In all its glory, Ocarina of Time takes center stage and sets an eventful night into motion with a splendid musical composition and video presentation, which combined for a purely magical experience – watching as Link journeys through Hyrule in an attempt to defeat the evil Ganondorf. 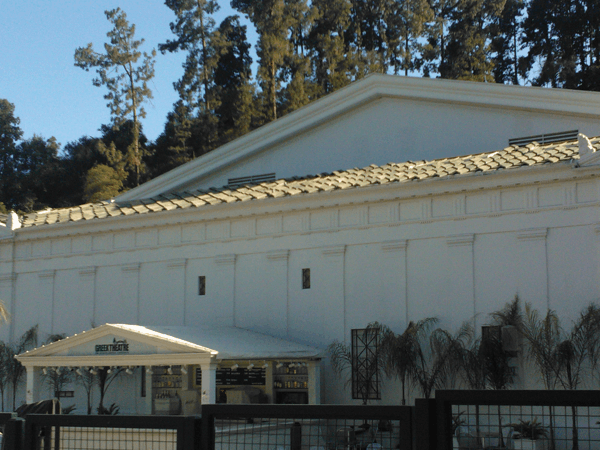 The arrangement was phenomenal and eloquently executed by the musicians as the conductor waved her magnificent baton. Up next – The Wind Waker takes us through a similar journey filled with whimsical creatures brought to life by the brilliant on and off stage displays. Filled with vibrant colors and ready to tell the story of Link – a boy from Outset Island who has been caught up in a disastrous situation – the video presentation continues and ends as host, Zelda Williams, comes back on stage to deliver an interesting commentary before our brief intermission. ... "I lied," says Zelda when an encore begins moments later. 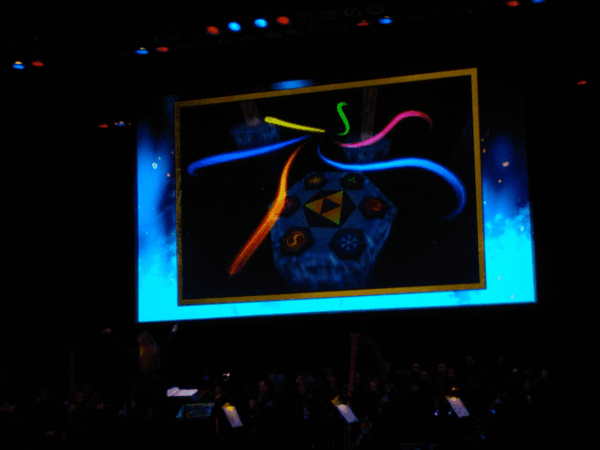 After a total of 3 encores – Majora's Mask being the last – the Symphony of the Goddesses comes to a close. Now heading backstage in order to record a roundtable when we settle on the dressing room filled with lots of mirrors and checker colored walls and Jason, from Zelda Universe, begins to record. What can I say? 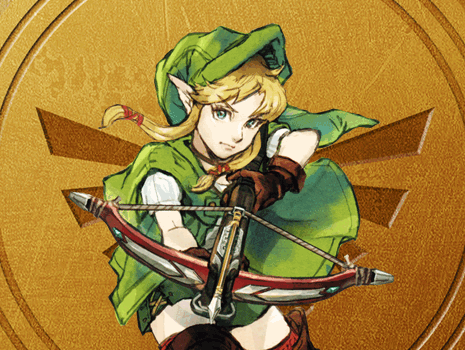 The Legend of Zelda: Symphony of the Goddesses was a masterpiece which every fan of Zelda or music should attend. The arrangement was spectacular and the video presentation flawless. The atmosphere created throughout the night was one that I and many more will remember for the rest of our lives – Simply Magical!